Above, the test setup used. The tx is designed to produce 100mW of output power. Since the meter indicates dBm, we need to convert power from mW to dBm. 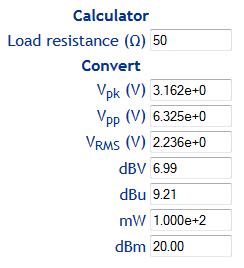 To convert from mw to dBm, you could use the calculator Convert Vpk-Vrms-dBV-dBu-mW-dBm. Above, the calculator output, 100mW is 20dBm. 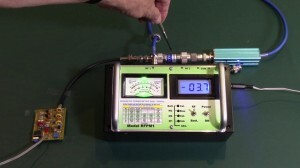 The power meter upper limit is about 15dBm, for accuracy reasons about 10dBm, which is less than the transmitter so an appropriate attenuator must be used to reduce tx output power to suit the meter. The attenuator MUST be rated for the input power, in this case 100mW is not very onerous. Above, a 20dB 2W attenuator in line. So the adjustment target is 100mW or 20dBm from the transmitter, 0dBm out of the 20dB attenuator. 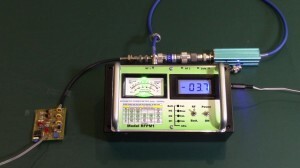 VK3AQZ RF Power Meter kit. VK3AQZ RF power meter (RFPM1). 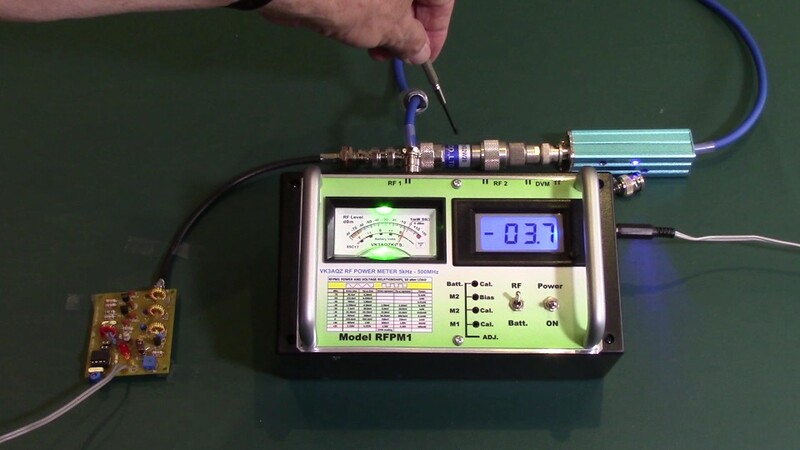 VK3AQZ RF power meter (RFPM1) – filter response example.